Non-Profit since 1962! Awarded New Jersey State Council on the Arts Citation of Excellence! 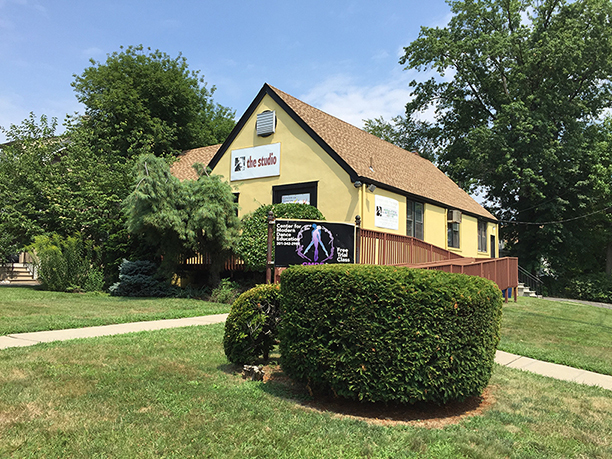 The Center for Modern Dance Education (CMDE) is a community arts organization with the mission to promote modern dance and related art forms and make it available to everyone while serving as a resource for the professional dance community. The Center seeks, through quality dance programs, to nurture talent and instill confidence in every student, and to preserve the legacy of modern dance and nurture its future. 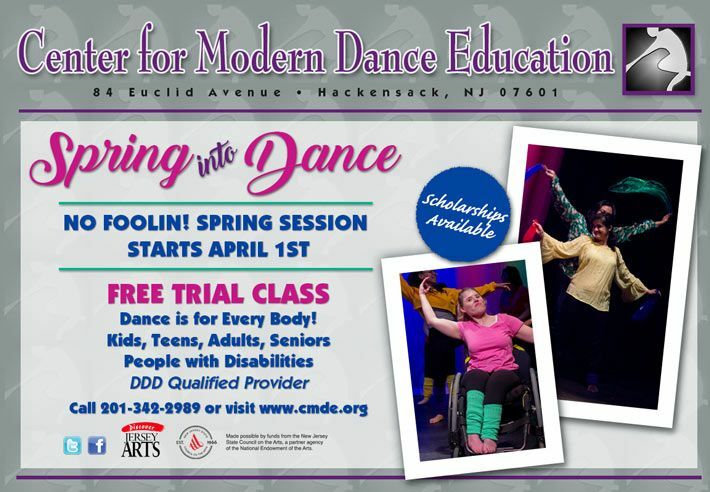 The Center believes that dance is for everyone, including individuals with disabilities, youth at risk, older adults, and people of all income levels. CMDE is an inclusive, diverse oasis for non competitive artistic engagement. FREE TRIAL CLASSES. You can also find more pictures on our Facebook, CMDE Photos Page, Vimeo Album Dance-a-thon 2018, Instagram, Twitter and our YouTube Channel. Also be sure to read our new Blog!!! You may take the NJ Transit train to Anderson Street Station in Hackensack or you can take the following NJ Transit bus lines to Main Street and Clinton Place in Hackensack: 165, 168, 751, 755, 762.